Halloween events SF Bay Area include 21+ parties, cruises on the bay and fun things to do with the kids. You will find dozens of activities in San Francisco, Marin, Oakland, and San Jose. Since the holiday is on a Wednesday in 2018, you will find most of the events the weekend before. Read on for a list of activities to celebrate this year! One of the best places to celebrate Halloween is in San Francisco. You will find dozens of fun costume parties, kids events, and cruises on the bay. You will also find other fun things to do such as concerts, theater productions, and more. Here are a few tickets at up to 50% off for San Francisco events this Halloween. 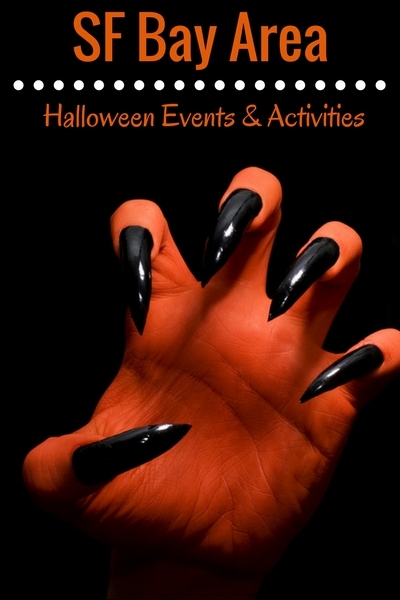 Click the links below for a round up of the fun Halloween events Bay Area in SF. Some of the best Halloween events in the Bay Area this year are in Oakland. You will find haunted houses, Boo at the Zoo, and plenty of 21+ costume parties. Here are just a few of my top picks for Halloween events in the Bay Area for 2018. If you want to stand on dry land, and still be scared stiff, check out the Music & Monsters At a Nightmare on 14th Street on Saturday, the 27th starting at 9 pm and ending at 2 pm. This 20,000 square foot building has 3 scary rooms for you to enjoy music and partying to some of the top DJs. Mix masters will be handling the bars to make sure you have the best to drink all night long. Make sure to wear your best costume at there is a contest awarding up to $2,500 in cash and prizes! Find tickets at up to 50% off on Goldstar. One of my favorite Halloween events in Oakland is the daytime event, "Boo at the Zoo" at the Oakland Zoo. It is on October 27th and 28th and starts at 10 am and ends at 3 pm. The normal price of admission allows you to ride the spooky zoo train, try out treats and if your kid wears a costume, they get a free ride ticket! Ghouls and goblins of all ages are invited! The USS Hornet, a retired US Naval vessel, has the "Monster's Bash 2018" on Saturday, the 27th, starting at 7:30 pm and ending at 1 am. This party includes food vendors, live music, costume contest and a no host bar. Tickets are available at the door but I highly suggest you buy them in advance as they usually sell out. Note: The USS Hornet does not have an ATM so bring cash if you want to use it for the food vendors or drinks. Located at the famous Jack London Square, this furry friendly party has something for everyone as the event includes drinks and music for the adults and lots of fun for kids and animals alike. This includes costume contests, trick or treating, and photos with the infamous Cruella de Vil. This event runs from 12 to 2 pm so make sure to not be late. The Boo! Bark, Brews + Bites festival on the 27th at Jack London Square. This animal and family friendly events are a blast and you, your family, and your furry friend, will definitely have a great time. There are loads of dog friendly activities, including paw painting, for them to enjoy and even a dog psychic in case you want to know more about what the future has in store for fido. It runs from 11am to 4pm. DJ Ball-D and DJ Slappy will entertain you all night long on this midnight cruise leaving from Jack London Square. On this 3-hour party boat, you can enjoy drinks from 2 fully stocked bars, panaramic views, live music, and 2 levels of entertainment and fun. This riverboat style vessel has two levels and hold only around 150 people. It leaves from 1 Broadway Street near Jack London Square at 10:30pm SHARP. Check in and board early to make sure you don't miss out on the fun! Voted the scariest haunted house in California, Fear Overload Haunted House includes 2 haunted houses for the price of one. This attraction runs from late September to early November and is not for the faint of heart. This event has been featured in Forbes, and on CBS, ABC and Fox, this is a truly serious horror and scream fest. Just to give you an idea of how scary these houses are, pregnant women or people in casts are NOT allowed to enter. The Southern Pacific Railroad is transformed into the Haunted Depot in Benicia for your Halloween fright and pleasure. It is a spooky way to spend a few hours during this Halloween weekend. Kids of all ages are welcome. This event has different hours depending on the date, so make sure to check the calendar. What better place to spend Halloween than in a cemetery at night in the quaint city of Dublin? I can't think of one. The "Ghosts of Dublin 2018" tour is without question one of the scarier places to be if you are afraid of ghosts, ghouls or goblins since one never knows who, or what, may pop up from the graves. Popcorn and cider are available and tours are from 7:30 pm to 10:30 pm. Doors open at 7pm. Tours are about one hour long. This event is located in Concord and has been operating for 20 years and this will be their last. The best part is that its entirely free to enter, although they do ask for donations. This attraction runs from 7 pm to 10 pm on the 26, 27 & 31 at 5625 Lewis Way. This event has fog machines, lights, horrible monsters and pretty much everything else to terrify you all night long. Enter at your own caution! If you are looking for a Halloween party specifically for infants, toddlers and preschoolers, look no further than the Habitot Children's Museum and it's Not-Too-Spooky Halloween party. Starting at 9:30 am and ending at 4:30 pm on both Sunday the 28th, this event transforms the museum in a Halloween playground where your little one can paint miniature pumpkins, fly paper ghosts in their wind tunnel, and try some witch's brew in the apothecary. Admission is 12 dollars for children and adults. 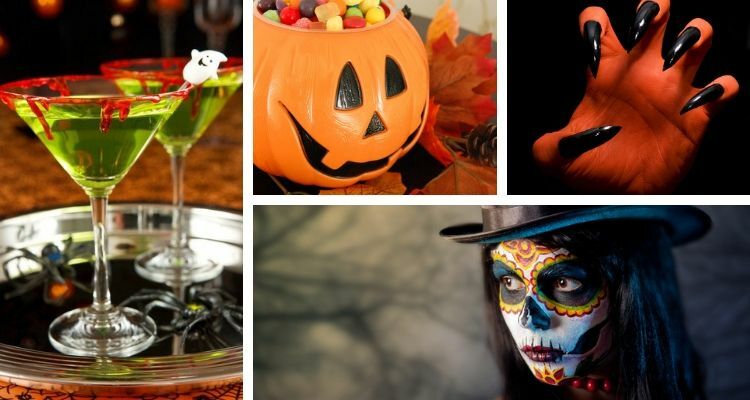 The San Ramon Marriott is the place to be for "The Best East Bay Halloween Party 2018." This event is limited to 500 attendees so make sure not to miss out. A dj will spin your favorite tunes and there are huge screens playing videos of the bands from 8 pm until 12 pm on the 26th. There are also exhibits, contests, and raffles during the night. Since it is located at the Marriott, you can get a room so you don't have to worry about dealing with traffic or a drive home after the party. Known as one of the best carnival and ride attractions in Northern California, Great America turns into a scare fest for all. This event runs every weekend from September 21 - October 28 running on Friday, Saturday & Sunday 7pm to Midnight (9/21-10/7, 10/14 & 10/28) and 7 pm until 1 am (10/12, 10/13, 10/19, 10/20, 10/26 & 10/27). Featuring 8 mazes, 5 live shows, hundreds of monsters and so much more, this is adventure that can not be missed. Dead Time Dreams is known for their horrifying mazes and madhouses that scare everyone that enters them. This event runs from September 28th to November 3rd from 7 pm to 11 pm, so you'll have plenty of chances to see how much you can handle this Halloween season. There is also the Midway of Terror for you to hang out at before or after going through "The River Styx" and "The Deathworx" adventures. Head over to The Glass House (2 S. Market Street, San Jose) for the best Halloween party of the year. Several DJs will be on hand throughout the evening pumping out party music all night long. Upscale dress code enforced. Party runs from 9pm to 2am. The annual Halloween Costume Party at the Ritz will once again be in full swing on Saturday, 10/27. DJ's Bit & Basura play the best New Wave, Electro, Hip Hop and Top 40 all night long. $500 for the best costume of the night. The party is 21+ and starts at 9pm. Find tickets for this event on TicketFly. Winchester Mystery House's "Halloween Candlelight Tour"
This famous haunted house is always spooky and scary, even in the day time, but it becomes especially so when it is Halloween. Candles will be your only source of light, while cruising around this house full of mazes, confusing corners, and you may even see a ghost or two if you pay attention. This tour lasts about 1 hour and sells out quickly so make sure to plan ahead. Tours start on September 14 and run through October 31. Tours are available several nights a week. Singles get ready to mingle while having a terrifyingly good time at the Doubletree in Burlingame right near the SF Airport. Singles are encouraged to wear their best, and sexist, costumes to this event. There is a costume contest and food and drink are available. Starting at 8 pm on Saturday the 27th. Bring your little ghouls and goblins to visit the dark forest and haunted barn at Cupertino's 160 year old Deer Hollow Farm. This annual event starts at 10 am, on Saturday the 27th, and ends at 3 pm. You will be able to meet farm animals (in pens so they are safe for all ages), make toys and do some trick or treating while enjoying yourself in a very beautiful natural setting. This October, the small town of Felton is the place to be if you or your kids love Thomas the Tank Engine and friends. Some of the activities include face painting, story telling, cookie decorating and, of course, photos with Sir Topham Hatt! Each ticket also includes a 20-minute train ride for all to enjoy at this scenic and wonderful Halloween event. Located in the Garlic Capital of the world (isn't that scary enough already? ), the Gilroy Gardens are home to numerous Halloween events this season. These include a classic Halloween night with story telling, trick or treating, spookified rides, and more. During the day, there are special programs with scarecrows, mazes and more. Kids 12 and under get their own goodie bag. Lastly, the petting zoo has been scarified snakes, lizards, spiders and more! Santa Cruz's Chaminade Resort is home to this year's party on Saturday 28th starting at 5 pm and ending at 8:30 pm. Get to taste great local brews, eat some great brats, listen and dance to great blues music and get in some boos as you celebrate this Halloween. This event includes an adult costume festival. Head over to SOMA Village in Rohnert Park for two terrifying Halloween Haunted Houses. Both haunted houses are under one roof! Lil Horrus's Fun House will take you on a thrilling, yet scary journey. If you haven't gotten your fill of scary experiences, then head over to Doc Horrortorium's adventure down Route 666. Both are open most days between October 11 and October 31. Halloween night is the perfect time to let down your guard and meet other local singles. This fun event get rave reviews year after year. This year, it is on Friday, October 26. Throw on your favorite costume and head over to Club at Harbor Point in Mill Valley. Dance the night away, grab a cocktail, and enjoy your evening in this exclusive waterfront club. Activities start at 8pm and run until around midnight. The Bay Area Discovery Museum is home to the fun for all ages Goblin Jamboree each year. Happening on both Saturday the 20th and Sunday the 21st, it features pony rids, glow-in-the-dark trains, a broom obstacle course, and so much more for everyone to enjoy. There is also a costume contest and live music throughout the event. There is no place to hide when you enter Fright by Night as the entire theme park is inhabited by ghouls, goblins, and other scary monsters. Featuring haunted houses, stage shows, and scare zones throughout the park, you and your little ones will be sure to have a great time as you check out the rides and thrills all day, and night, long. This year's event runs from 9/21 - 10/31. With over 5 acres of home grown pumpkins and corn mazes, you and your little ghouls are sure to enjoy this annual Halloween experience. If you need pumpkins for your own, there are over 50 varieties to choose from including some that are massive! The maze walls are about 10 feet tall so anyone can try to figure them out. There is a viewing platform in case you want to see the maze and get some help. The open the last Friday in September and stay open until November 1.